Credit is the lifeblood of the modern economy. 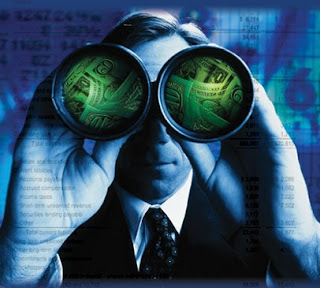 It saturates our lives – from the personal credit we each use to purchase household items or to buy our homes, to the shadier, more mysterious world of credit default swaps (CDSs) and other derivatives that commercial banks now trade like a currency. But it’s the very ubiquity of credit that prevents us from seeing its true nature, like being unable to see the wood for the trees. Credit is, in essence, the promise of limitless, indefinite, unfathomable wealth. And we need credit is because of the kind of lives that we have become accustomed to living, or the size of the profit margins your investors demand. Credit is, like most facets of our economy, an invention, a form of technology for generating more money. But the real innovation of the last two decades has been the willingness of banks to trade debt and risk itself, and thereby to make the economy both more profitable and more volatile. Likewise, on the personal front, it has been the availability of “cheap money” in the form of low interest mortgages, the subsequent housing bubble, and the conversion of home equity into another line of credit that has pumped billions of dollars into national economies. What we have witnessed, in other words, is a natural extension of the very logic of money, which has aimed from its very beginning at generating more and more of itself, seemingly out of nothing. This surprisingly modern idea – money generating more money – was actually first put forward by Aristotle in the fourth century BC. 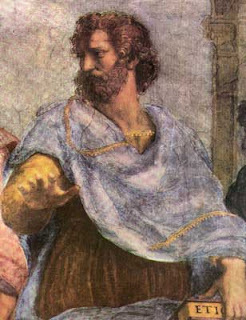 He observed the introduction of markets into the first great metropolises of Asia Minor, and even described trade as “the salvation of the states.” But Aristotle was then shocked to observe that the efficiency and simplicity of the market seemed to unleash something monstrous in the human heart. As people saw how much money there was to be made, they began lusting after “profit without limit.” They traded “the good life” (namely, a life organized around virtue and the common good) for lives of excess. Aristotle concluded that, whereas trade had the potential to be “the salvation of the states,” the seemingly limitless flow of money trade introduced into the life of the city brought along with it vices or moral impairments that would be the destruction of the city. The vices he named were: greed, an inability to be satisfied, a lack of sobriety or self-control, and the willingness to profit through usury. The great tragedy, of course, is that the very vices that Aristotle identified as most corrosive to the common good have become the celebrated virtues upon which the modern economy is built. Capitalism thrives only through these vices. While we hope and pray that those in positions of influence will find a just and effective response to the current credit contraction, should we not also reflect on our own indulgence in the greed and uncontrolled lifestyles that have brought us to this point? Shouldn’t we hope that out of this comes a rediscovery of a keen sense of the common good, and of new forms of community that nurture the virtues that have long since seemed to disappear from our society? The onus, then, is on the church – not merely to pray in some benign way that God would mollify the effects of this financial crisis, but really to constitute that alternate form of community. To give the formation of Christian virtue and Christlike generosity priority over misguided “stewardship” (which so often is ecclesiastical code for white-knuckled miserliness). To have the courage to tell our congregations that participation in the Body of Christ means wanting less, using less, wasting less, so that we can distribute more. To embrace those sacramental resources that have been entrusted to us to keep us faithful to our calling, and which themselves enact a radically different kind of economics to that of corpulent capitalism.